It’s true that oral surgeons are not always considered to be the life and soul of the party, but – hey – we like to have some fun too when we’re not in the office. 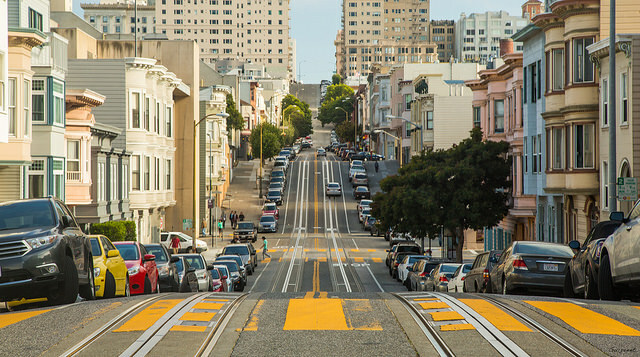 We love San Francisco and the tremendous amount of variety that offers in such a relatively small space. There are dozens of reasons to love the city, but here are our top ten. It’s relatively small. San Francisco is not a huge sprawling metropolis as are some of the other larger cities in the US. It actually only measures about seven miles square, which means that you can get from anywhere to anywhere else in 20 minutes or so. Whatever you need or want to do is never far away. Wherever you are there is always something amazing to look at. It could be a skyline, a park, a hilly street, a monument, or one of dozens of other things. Golden Gate Park (and many other parks). So much to do and see here. Bike trails, walking trails, the Japanese Tea Garden, Botanical Garden, the flower conservatory, and even its’ herd of bison! Where else can you get all that under one roof? Well, not roof, but you know what we mean. The Food. There is almost everything under the sun here. Mexican food is especially popular. We also have the freshest fruit and veg in the US since we grow all our own in the California sunshine. The Wine. Napa Valley is just a short car ride away and so is Sonoma County. We love to go wine-tasting and then bring a bottle or two (or a case or two) home with us. The Culture. The Boom Boom Room, The Fillmore, the Great American Music Hall all feature national and local acts, while there are annual events like Fleet Week, San Francisco Pride Week, The Hardly Strictly Bluegrass Music Festival, and more. The Bars. Hundreds of them. There is something for everyone. Whiskey bars, coffee bars, beer bars, wine bars (of course) – whatever is your favorite tipple is never more than a few minutes’ walk away. Nature. Not very far away is the Big Sur coastline, the hills in the Marin Headlands, the coast at Point Reyes, the glorious green forests of the Russian River Valley – all virtually on our doorstep in San Francisco. The Fog – and the fog horns. Yes, we know it may sound strange, but the fog is a part of the make-up of San Francisco. When you hear the fog horns you know that you are home. When you are out of town and someone asks you where you live and you can say “San Francisco”. That says it all. So there are our top ten reasons for loving San Francisco when we get a little spare time out of the office. However, we also love our work so when you are considering any form of oral surgery or dental implants we’ll be delighted to help. This entry was posted in Blog and tagged oral surgeons, Oral Surgery, San Francisco on September 7, 2016 by Dr Alex Rabinovich.